Director: Takashi Itoh | Producer: Takashi Itoh. Synopsis: About 70.000 Koreans, which is about 10% of the atomic-bomb victims, were bombed at Hiroshima and Nagasaki. The victims living in North Korea are still abandoned while those living in the South are now taking medical support by Japanese government. 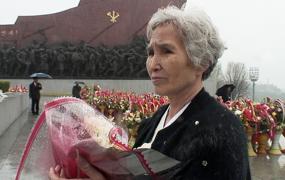 In this documentary, mainly taken in North Korea, a closed and unapproachable country, Itoh focuses on a North Korean Hiroshima-atomic-bombing victim, Lee Kye-son, and reveals the nonhumanitarian situation caused by the Japanese government, through her anger and grief.